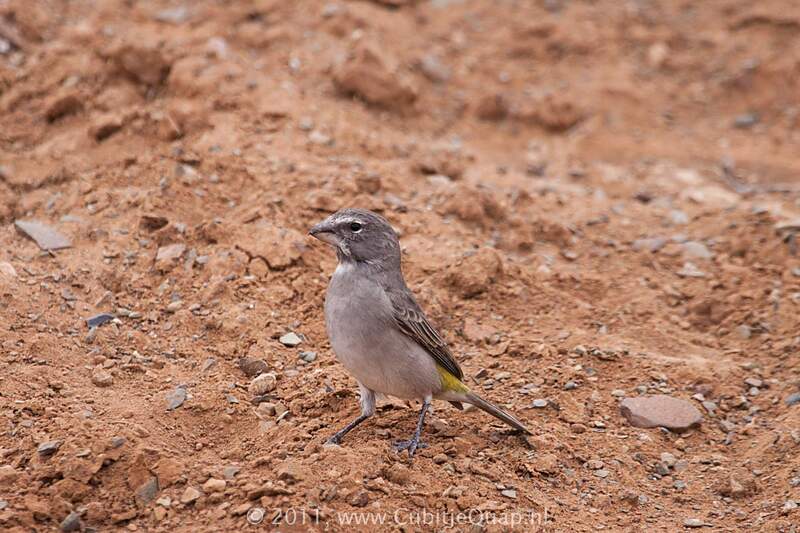 Differs from other drab-coloured canaries by the combination of its small, white throat patch and greenish yellow rump. 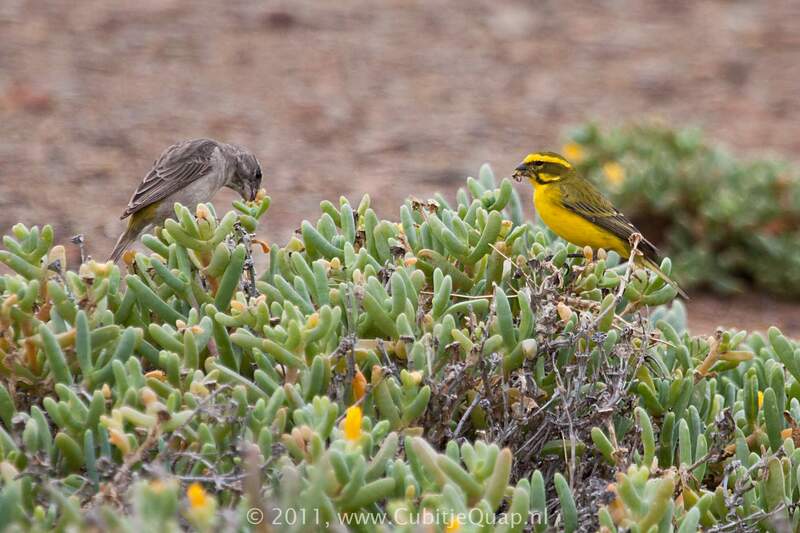 In similar habitat, it is distinguishable from female Yellow Canary by the massive bill and the absence of breast streaking. Fynbos, Karoo scrub and scrub-filled mountain valleys. A mixture of canary- and sparrow-like notes, given from a perch.